Welcome to the Table of 20, an intimate experience that provides a platform for women and men to share, motivate and inspire! My sister and I were recently invited to an amazing luncheon by Erica Dias, owner of The BFirm PR. 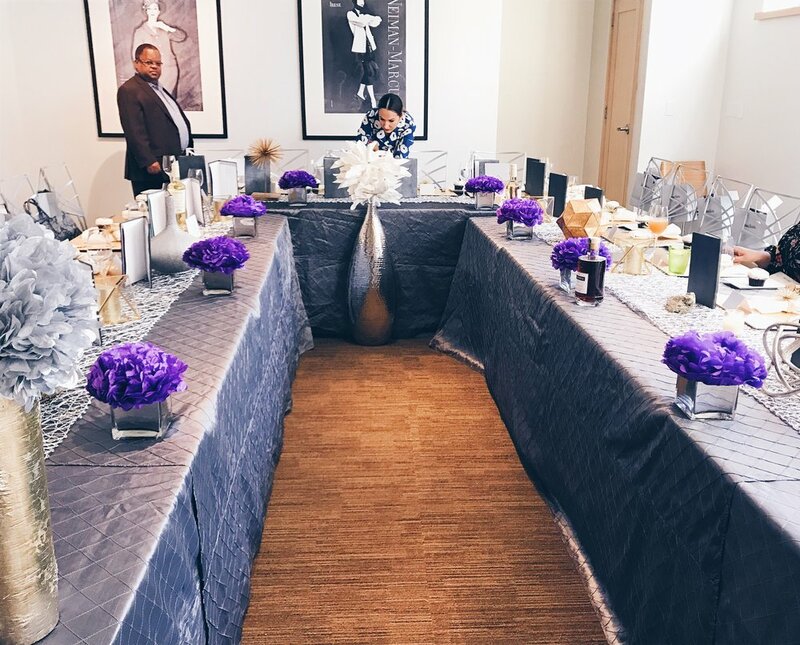 Erica's Table of 20 took place at Neiman Marcus in a beautifuly decorated room [by Ann-Marie Appiah of the A.M.A Experience, total room goals] with an array of incredible people from entrepreneurs, to news anchors, producers and much more. It was a room full of positive vibes and strangers, that we could not wait to meet! As I walked into the luncheon I was greeted by Erica's sweet smile and open arms! Although we've only communicated via email, it felt like I've known her for years. As I went to find my seat, I couldn't help but notice how creatively and beautifully decorated the room was [I need her designer ASAP]. My eyes lit up as I approached my seat, as a red velvet Sprinkles cupcake sat there starring at me, while a nice gentleman approached me with a tastey cocktail from Martell [ the food was an A++ as well]. Not a bad way to start a power luncheon, if I do say so myself! Next, we were entertained by the inspiring speakers; Michael Sterling a candidate running for mayor of Atlanta and Erica Dias herself. Both of their stories were pretty remarkable. Michael, an orphan from Texas, who faced many trials and tribulations, was guided by a social worker who forever changed his life. 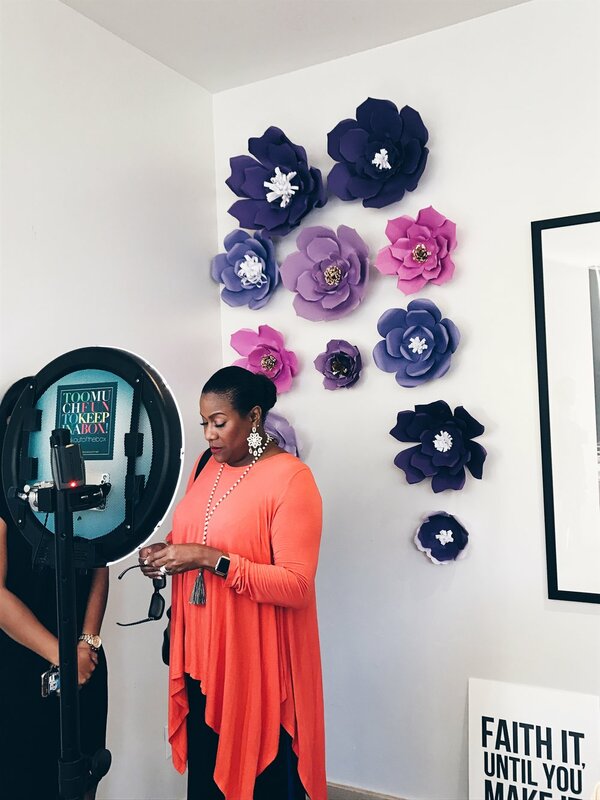 And Erica, just a young girl from Richmond California who's strong beliefs in faith, God and vision boards got her where she is today, total #GIRLBOSS status. As Erica continued to speak I learned that we had many things in common; her strong ties with family, her special friendship she shares with her sister [sisterhood POWER], and her relentless attitude. Also an author, Erica's book called, "Faith it Until You Make it" is a fun book full of motivational quotes. At the end of the luncheon, I realized Erica's Table of 20 was created from the power of sisterhood to inspire and motivate everyone in the room through sharing each other's story. Erica's Table of 20 was definitely a success and an unforgettable experience! DIY: Rosemary for Hair President!